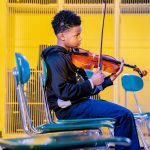 DPSCD believes when students rise, we all rise. 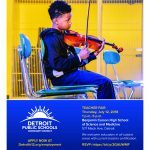 The District is now hiring certified teachers in all subjects who are passionate about championing Detroit youth. 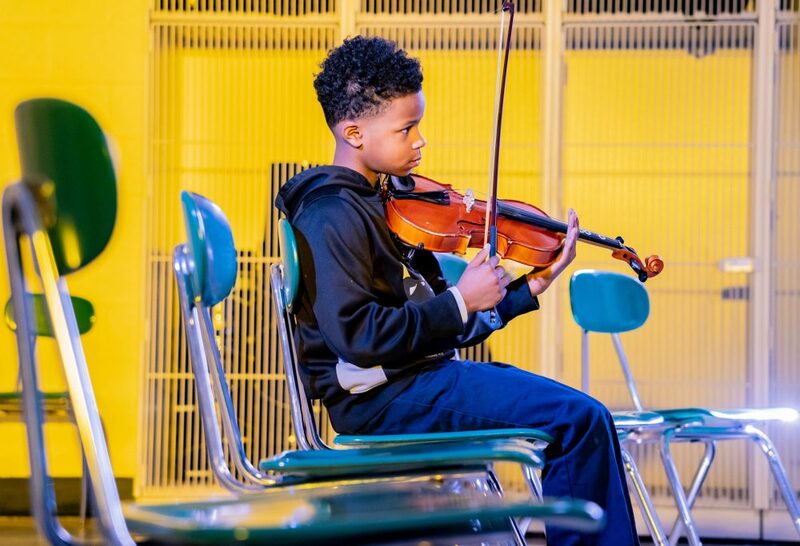 If you are interested in a rewarding teaching career beginning in Fall 2018, join us at our District-wide hiring fair on Thursday, July 12 from 3 p.m. – 6 p.m. at Benjamin Carson High School, located at 571 Mack Ave, Detroit, MI 48201. 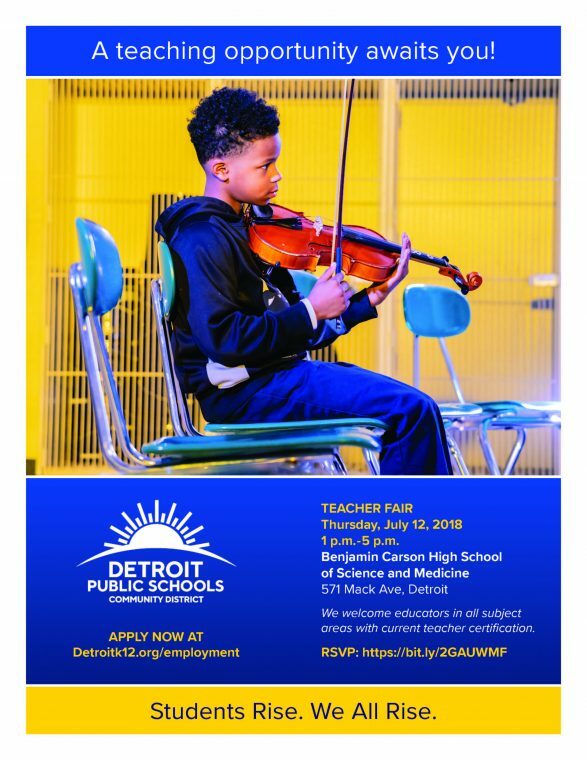 Candidates should apply for their desired position online at Detroitk12.org/employment, and register for the hiring fair at https://bit.ly/2GAUWMF. Candidates will need to bring proof of teacher certification and a resume to the hiring fair.